Getting the green light on a film, online video, or TV production can be an exhilarating experience. 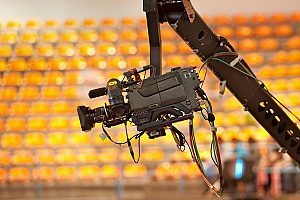 However, whether you are working on an educational documentary or an episodic television production, it is important to understand the various risks involved in the entertainment industry. Production insurance is an effective way to safeguard your production to help ensure a smooth process from start to finish. Learn more about production insurance, the differences between long term and short term production insurance, and why you should consult with an entertainment insurance broker today. Production insurance is typically separated into two main categories: short term and long term. While the type of production insurance you choose will be majorly dependent on the type of film and its complexity, the main objectives of the insurance remain the same. 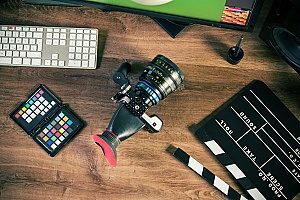 In short, a good production insurance policy will protect the producers, film crew, filmmakers, and production gear from liability claims at all filming locations. As no two films are exactly alike, no two insurance policies should be either. Therefore, your entertainment insurance broker will create a unique policy tailored to your film project. With production insurance, producers are protected from liability relating to accidents in for-work vehicles, on-set injuries, and theft, loss, or damage to owned or rented equipment. In some instances, a policy may also protect a producer against copyright infringement claims. As a producer on a film project, you carry the bulk of the responsibility if a problem occurs. Without the proper protections, you could face legal, financial, and possibly even criminal consequences if something goes wrong. Fortunately, producers and their film crews can rely on either long term or short term production insurance to protect their investment. If you are going to shoot numerous times throughout the course of a year, then long term insurance may be the best option for you. Although long term production insurance, or annual policies, are most commonly used by active production companies, smaller filmmakers can also benefit from ample coverage. When it comes to pricing, most producers find the price difference between long and short term production insurance to be minimal. Therefore, it is always a good idea to get a quote for both types of insurance before making your decision. You will also want to consider some other important factors. Long term production insurance is best if you have your own production company or if you own equipment that you rent to productions. It may also be the right choice for you if you are a freelance producer who produces at least four productions a year. If you are producing an independent film, long term production insurance may also be a good option. Generally, annual policies are best suited for ongoing production projects like DICE (documentaries, industrial, commercials, and education). On average, a DICE policy lasts for one year before it needs to be renewed. Short term production insurance is available on a per project basis making it a suitable option for producers who only produce the occasional video. This type of insurance can be found at competitive rates to fit budgets of all sizes. Short term product insurance policies typically cover a wide range of productions, such as TV shows, films, documentaries, music videos, and webisodes. Coverage will often include property insurance, rented or owned equipment insurance, third party property damage, and similar protections based on your unique project and budget. Some policies also cover workers compensation which protects the cast and crew against injuries while filming. As short term production insurance covers your productions based on each individual project, producers have a lot of leeway regarding the length of coverage. Production insurance can cover as little as one day of filming or can extend several weeks or months. However, it is important to consider covering your prep days when determining your length of coverage. Almost every state has laws that require a production company or filmmaker to have some type of entertainment insurance. If you are not sure if you need it, speak with an entertainment insurance broker. If you wish to acquire a production insurance policy, you will need to speak with an experienced entertainment insurance broker. Choosing the right broker for the job is important as this will help determine the overall amount of coverage you receive and the rate that you will pay for the coverage. You will also want to ensure that the insurance broker you use is an entertainment insurance broker who specializes in production policies specifically. Entertainment insurance brokers know best how to package policy benefits to ensure that you get the most coverage for your money. For more information about production insurance or how to acquire it, speak with an expert entertainment insurance broker.